Newton Hall fig 49 2010, Tameside. 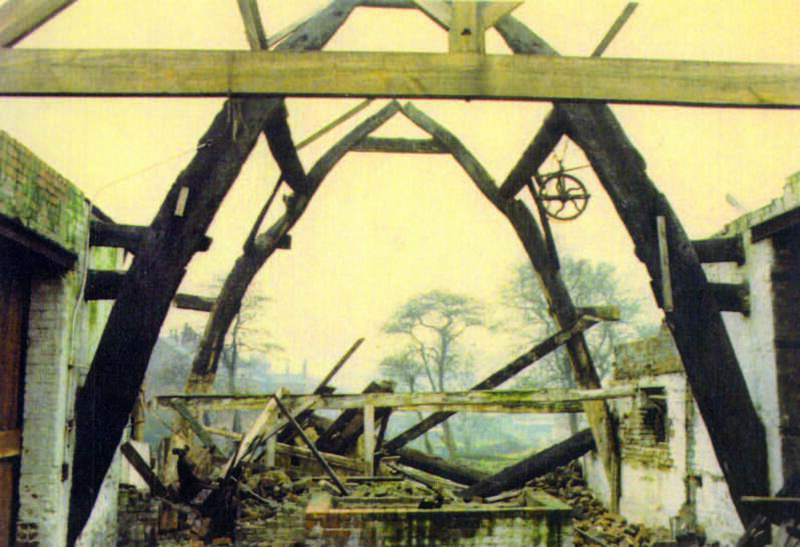 The two cruck trusses as found within the barn after demolition had been halted in 1967. Photograph courtesy of George Kenyon and Sons Ltd.